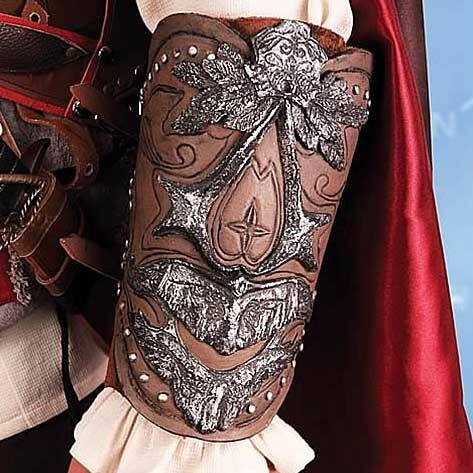 Check out Museum Replicas’ new Ezio Vambrace Prop Replica based on the vambrace seen in the Assassin’s Creed II video game. This is designed to fit perfectly over Museum Replicas’ Ezio Extension Knife Prop Replica! This replica is crafted from leather while the intricate details you see above are hand painted polyurethane. Two buckles fasten the vambrace to your arm. Pretty cool collectible to add to the Assassin’s Creed family of prop replicas. This is Museum Replicas life size and wearable replica of Luke Skywalker’s Yellow Ceremony Jacket with Medal of Yavin. Released 33 years after the jacket was seen in the original Star Wars, the jacket retailed at a price of $274. Now, if you’re fast you can snap one up brand new at an amazing 73% off the retail price (just $75). 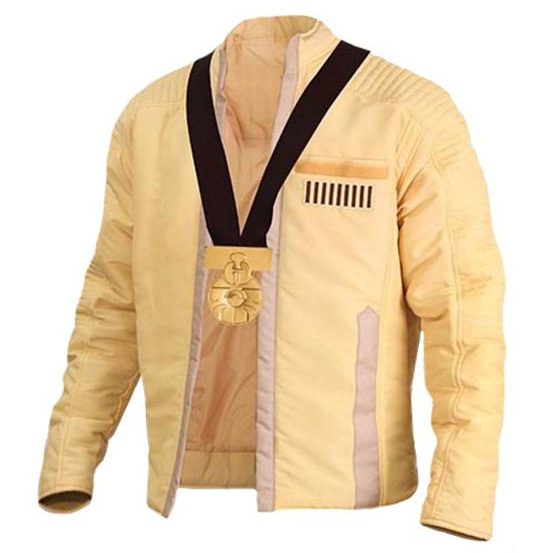 As seen in the movie Star Wars: Episode IV – A New Hope, this Luke Skywalker Ceremonial Jacket is yellow and made from a poly-cotton blend. The jacket has been faithfully reproduced with reference from the only jacket produced from the film – a customized motorcycle jacket – and is now in private hands. This form-fitting piece comes complete with an accurate version of the Medal of Yavin to complete the look. The medal is unattached to the jacket and can be worn with or without the jacket on. Note that the Star Wars Luke Skywalker Ceremonial Jacket with Medal of Yavin has an athletic cut that is wider in the shoulders and narrower in the waist. There is no zipper.